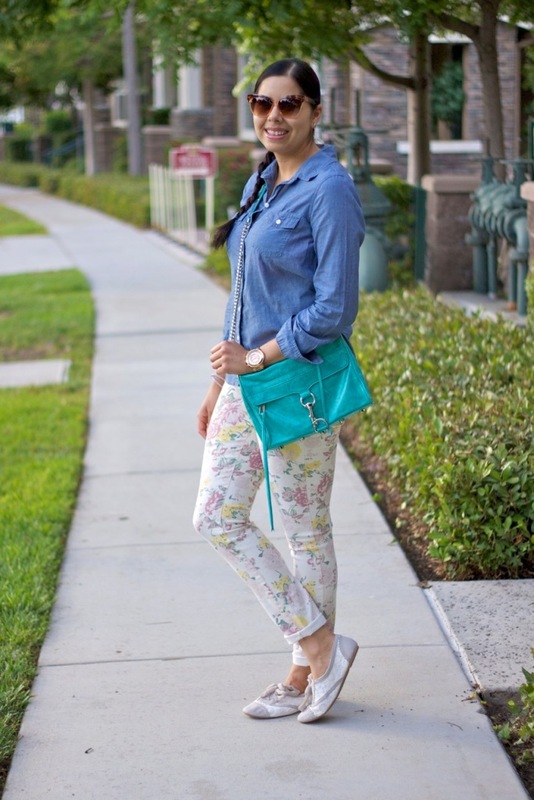 Chambray top, oxford shoes and floral denim- a feminine, better yet, comfortable combination! These oxford shoes from Not Rated are adorable, I had to keep that vibe going with my floral denim jeans (rolled up of course). I hadn't worn these jeans in about a year because (insert the Usher lyric "these are my confessions" here) I simply didn't fit into them. I have been focusing on eating better and making time for the gym, but not in an extreme way because that's how I always get into trouble. Fitting in to the jeans is a mini accomplishment in my continuous journey to be healthier (the journey never ends huh?). Hope you all have a wonderful Wednesday! About the Outfit: Oxford Shoes (in mint trim or pink trim) c/o Not Rated, Sunglasses c/o Rolling Threads, Old Navy Chambray, Rebecca Minkoff MAC Purse (mini version here), Michael Kors watch. OMG love the outfit, such a nice combination of girly and casual! Those oxfords are too cute with the lace details on them! 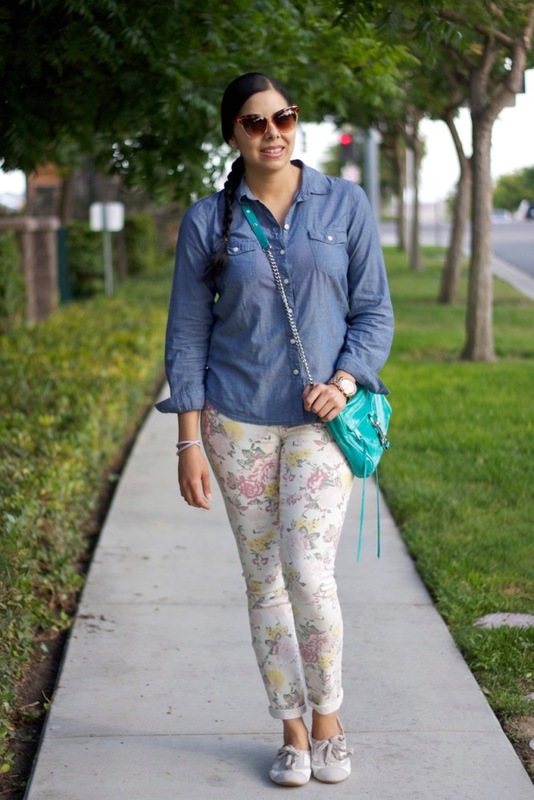 Floral and chambray are a great pair, love this cute outfit Pau! Now I'm on my way to listen to Usher, thanks for the reminder, ha ha! I love this look very cute! I totally get you Girl so trying to get back into the gym! But you look great!! Love that bag one of my favorite colors. 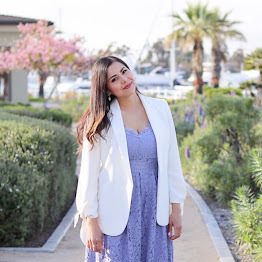 This is a great spring outfit! I love the floral print. Such a awesome look! Just love it. I feel you on the gym thing, I really need to find a balanced workout that won't cause me to get bored. Now for the outfit, I love the floral jeans they're absolutely adorable. 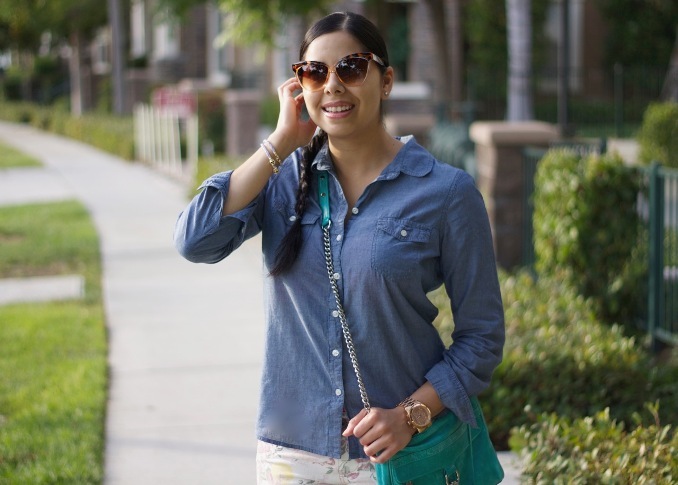 Chambray tops are my weakness, I love how versatile they are. Aren't oxfords the cutest and the most comfy. I love them so! Cute look on you Doll!!! very comfy yet stylish nice pants!! Cute and comfy, what could be better! You look adorable.